Go on a safari this spring! 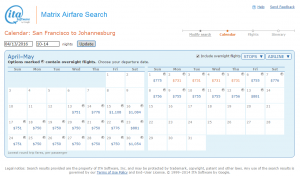 Flights from San Francisco to South Africa have dropped by more than $300. 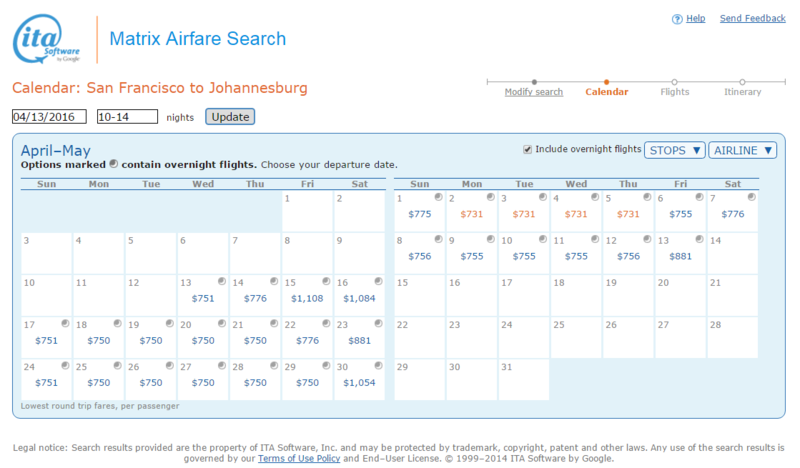 Book a flight on Delta Air Lines to Johannesburg for $731-$776 roundtrip, including tax, for departure dates through May. 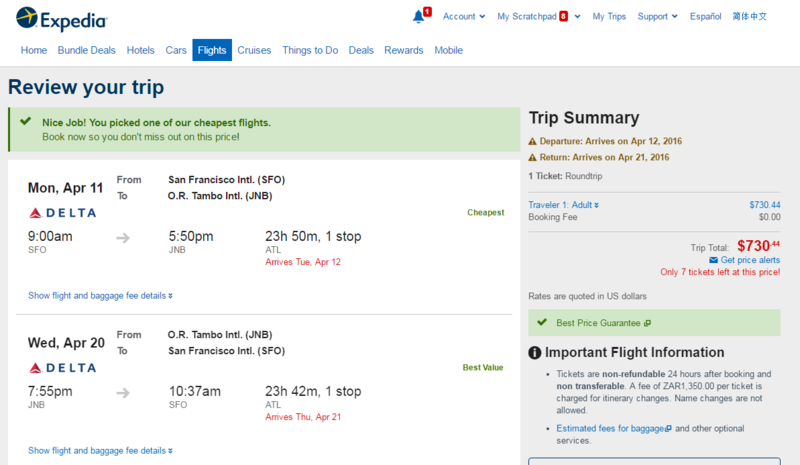 This deal is roundtrip and includes tax. Click the links below to purchase on Expedia. 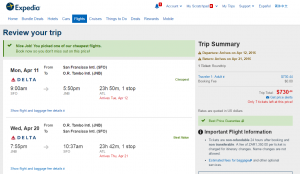 Note: While Delta itineraries are available on Fly.com, Delta is currently not sharing airfare pricing with many independent websites — including Fly.com. Delta Air Lines charges $25 for the first checked bag. Check our baggage fee chart for more information. More than $300 compared with surrounding dates. Most departure dates are available through May.